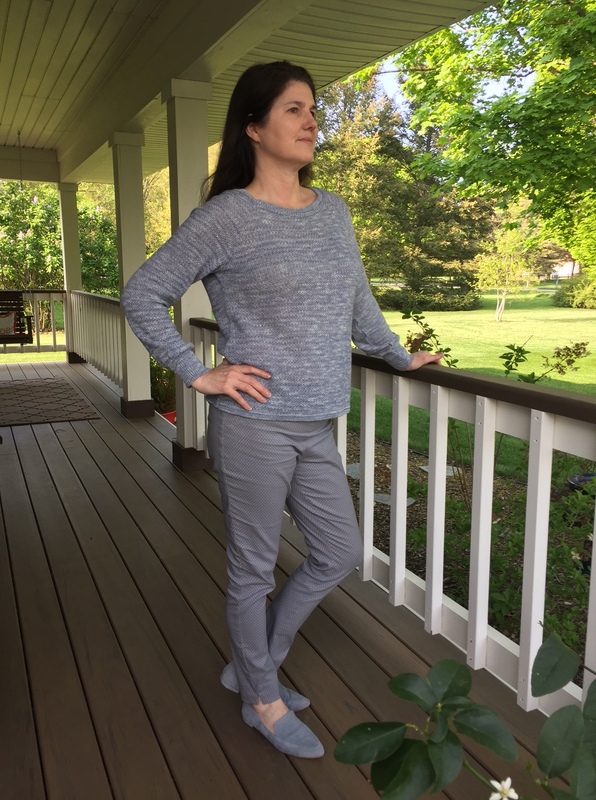 I have been told that like fine wine, your Stitch Fix experience is enhanced by age. I can confirm this to be true. 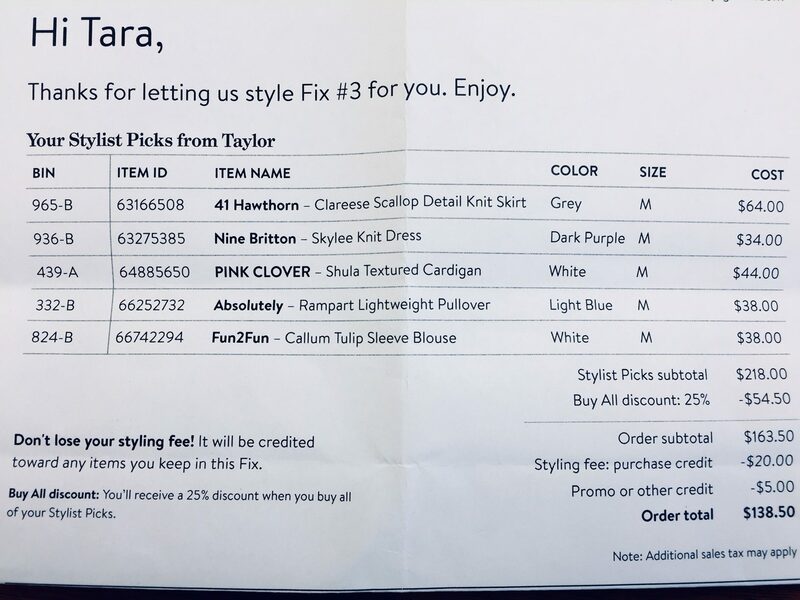 This was my third Fix and this time, I actually paid attention to the email they send while they are putting together your Fix soliciting input, and gave the stylist some suggestions as to what I would like to see. I told her no pants, only skirts or dresses, light weight sweaters or tops, please. Here is what I got. To recap, in my first Fix, I kept one of five items, on round two I kept two. Given the trend, you would think I was on pace to get three new pieces, but alas you would be wrong. Let’s take a look. First, the Rampart Lightweight Pullover (Absolutely $38.00). Loved it, kept it. Versatile color, soft, quality finish. This guy will get a lot of action. 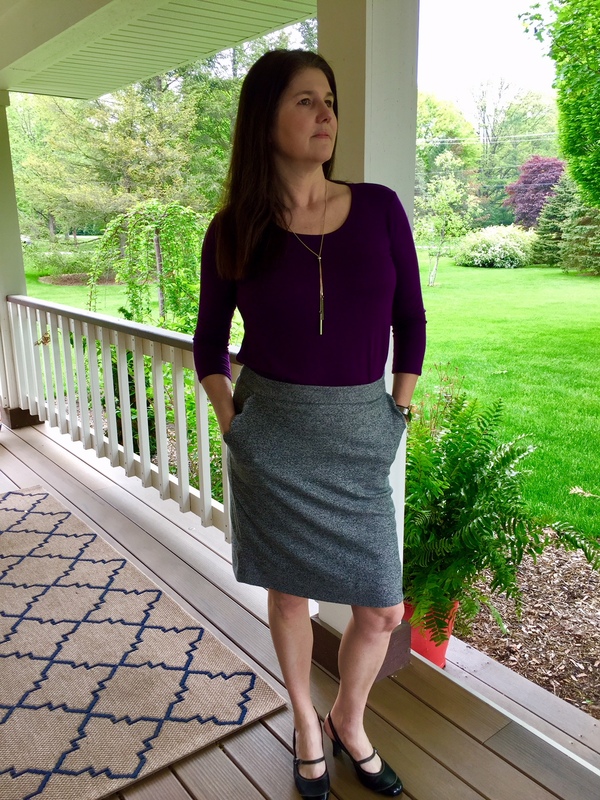 Next up the Clareese Scallop Detail Knit Skirt (41 Hawthorn $64.00). This skirt is crazy comfortable, the fabric has lots of give, but it is lined and heavy enough that doesn’t get all wrinkly when you sit. The best feature, in a word, Pockets!!! The price is a little high, but this is easily a year round piece so it too joined my closet. Third is this Shula Textured Cardigan (Pink Clover $44.00). I cannot put into words how soft this sweater is, it feels like I am wrapped in a fluffy cloud. Lightweight but warm, this became my newest weapon in my ongoing war with the air conditioning in my office. 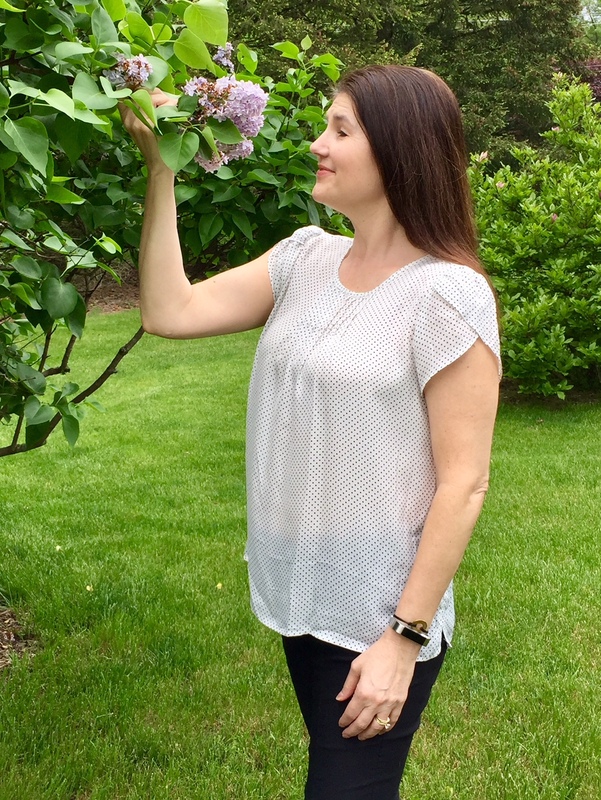 Next, the Callum Tulip Sleeve Blouse (Fun2Fun $38.00). Love the pin dot print, can be worn tucked or un-tucked, looks great alone or under jackets and cardigans. Winner. Could we go 5 for 5???? Last, is this guy, the Skylee Knit Dress (Nine Britton $34.00). I love everything about this dress, color, feel, style, sleeves, my only issue is that it is really short on me. So short in fact that it makes me a bit self-conscious, but since my discount for purchasing all 5 is $54.50, it would actually cost me $20 if I don’t keep it, so I did. So here’s the damage. 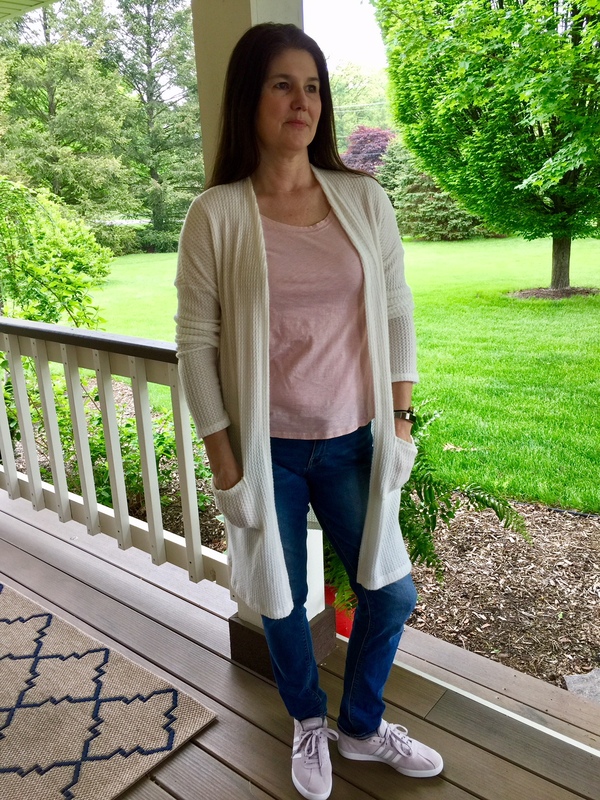 The total bill was $218, but with the buy it all discount and credits for my styling fee and a referral, it ended up being $138.50, or about $27.00 per item. Not too bad at all.